Chosen for its high appeal as a "buen retiro" in senility, Villa Grifunera soon proved to be also optimally fit for wine production. Therefore, pushed by our sons and by the oenologist Cipresso, who, initially, looked after the plant, we rolled up our sleeves and started working on it. Now, this exceptional land is eventually bearing fruit. 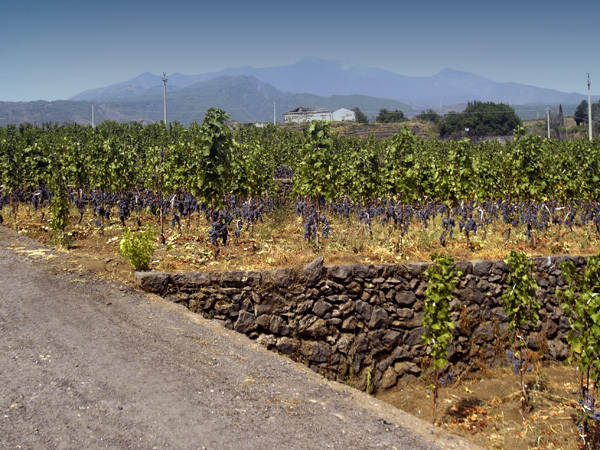 The particularity of the place brought us to open the farm to our guests, so that the goal of our project, besides the production of wine, is especially to share with them the typical warm hospitality of Sicily, of its colours and culture. In other words our aim is to connect wine production and hospitality in what is often called oenotourism. So we have, on one hand he vineyard, the cellar and the wine ("iddu"), and on the other hand a complex of real estate for a warm welcome of our guests. 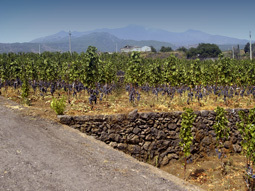 We did not forget, though, of our hobbies, so, alongside of the vineyard there are our dogs, plants and handicraft. The property includes the villa, in which there are a old millstone and cellar. We started up a breeding farm of dogs, especially Rhodesian Ridgebacks, Poodles and Hovawarts. We will soon create a wine bar, a pleasant museum, a shop for local handicraft products, an antique boutique and a small exhibition area. The lot to the extent of involving our guests in the natural, cultural and gastronomic environment. We are also going to promote cultural and artistic events: conventions, fairs and conferences on oenology, local cuisine and agriculture.